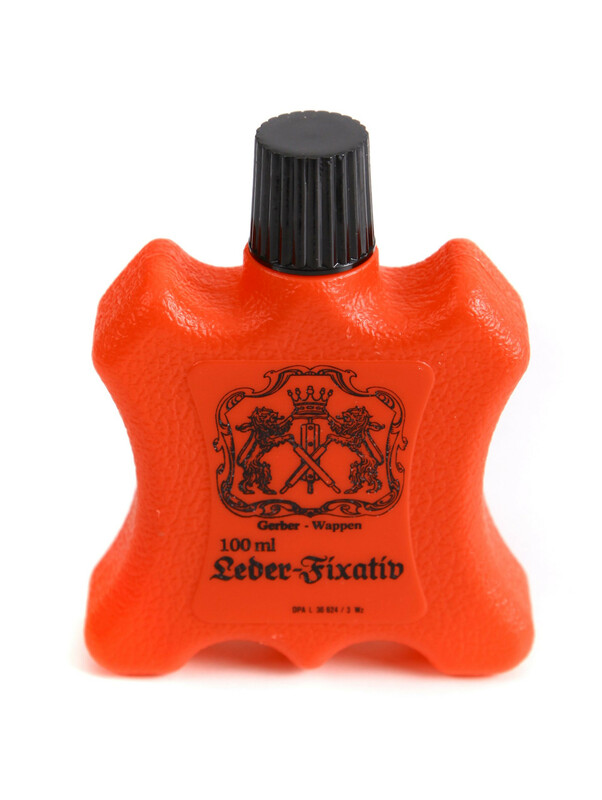 Leather fixative (including washing instructions) for the treatment of one or more colored leather. Among all other leather types, the fixative applies to the following types of leather: Velour, nubuck, nappa leather leather-textile mix. After the treatment with this product your leather products such as bavarian lederhosen or leather jackets shine like new. The delivery includes 1 leather fixative wash concentrate (100ml). The fixative should always be applied before washing colored leather as well as leather-textile mix products. Similarly, when the leather is faded use this product as well before washing. However the concentrate must not be applied before each washing in this last case.